While most parents busy themselves with back-to-school preparations, family members of a 13-year-old Green Pond High student remain dead frozen in their tracks, as the troubled, yet beloved, teenager was accidentally shot by her ‘close friend’ – one the family made every attempt to separate her from. Dead is 13-year-old Shamar Hoffenden of a Pitfour, Granville address in St. James. A 17-year-old boy, said to be her ‘close friend’ and accused of causing the fatal shooting, is reportedly on the run. The information received by the Western Mirror from the Police is that shortly after noon on Saturday, Shamar was in a room at the home of a neighbour when the tragic incident occurred. It’s understood that while in the room, the accused walked in carrying an illegal weapon, which he and Shamar allegedly began to play with. The details remain unclear, but shortly after, an explosion was heard coming from the direction of the room occupied by the teens. 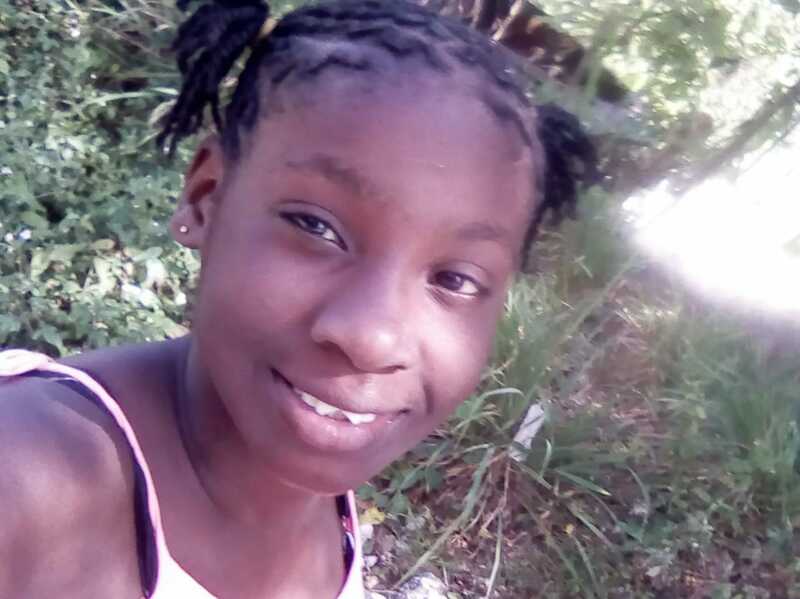 The police report that the 17-year-old boy pulled the injured Shamar from the room and onto the front yard, following which he ran to her mother’s house and told her that her daughter had been shot. He then fled the scene and is still being sought by the police. It was discovered that the 13-year-old had been struck in the head. She was rushed to the Cornwall Regional Hospital where she was pronounced dead. Shamar, who would have been entering Grade 8 this coming September, was the seventh of her mother’s 11 children. Deborah Middleton, mother of the deceased teen, who sells at the Charles Gordon Market, said she is not coping well with the death of her daughter. “I am not doing too well. It’s just that she fell in love with the wrong person. I did not support this relationship. She was a jovial girl and everybody really loved her. The family is just taking it one day at a time. That is how we are trying to cope,” the grieving mother explained. It is understood that Shamar was a troubled child, and the intervention of the Child Protection and Family Service Agency, as well as the police, were sought by her parents on numerous occasions to curb her wayward behaviour. The teen, however, continued to rebel, according to reports. Her mother, it is understood, tried to persuade her to end the relationship with the 17-year-old, but to no avail.